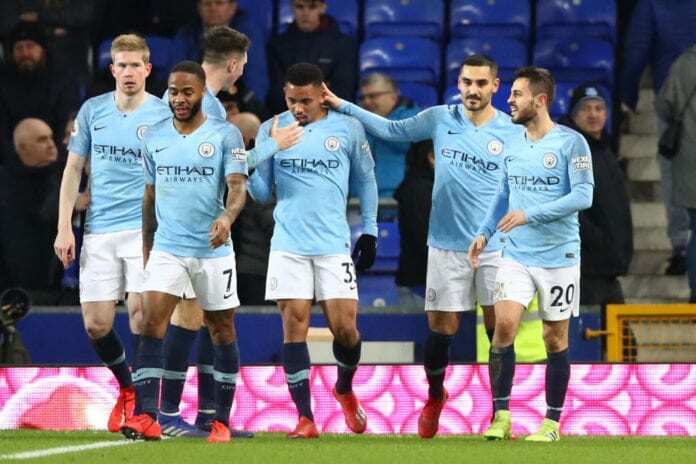 With late goals from Aymeric Laporte and Gabriel Jesus in each half, Manchester City got three points in an early match against Everton at Goodison Park. Manchester City had a unique opportunity to reach Liverpool at the top this Wednesday with one more match played, the Citizens faced Everton at Goodison Park in an early match due to the Citizens’ League Cup final fixture against Chelsea. Manager Pep Guardiola knew how complicated this away match was going to be, he even expected that his boys would suffer a great deal to get the result but he already has them used to getting the best out of themselves in difficult situations. It’s games like today’s the ones that tell you how much Pep Guardiola has learned from English football, he knows that the style of football that his teams have doesn’t always work and there are times when you have to get your “hands dirty” a little bit. Knowing that Marco Silva’s squad was going to play defensive football at home because they wanted to get a good result, Guardiola still decided to line up his best possible starting XI and still attempted to play that offensive style that has made him so famous in modern football. But Everton refused to give in throughout the whole 90 minutes, they denied most efforts from the attacking force that Sergio Agüero and company were leading. 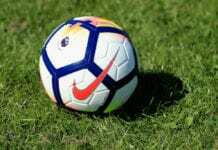 The two goals from Manchester City came at the end of each half in the least expected way, the first one was during a set-piece that David Silva commanded from the final third of the pitch. His cross went straight to the box where defender Aymeric Laporte was waiting to strike the ball with a header, the effort was well-placed and it gave the Citizens the momentary lead before going to the dressing rooms. The second half was going to be more of the same, an extremely defensive Everton with very few chances created and Manchester City having the ball and the Toffies defence always on point to block any attempt from Pep Guardiola’s team. 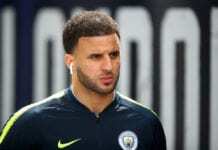 Striker Sergio Agüero made a tremendous effort throughout the whole time he played for City, but he wasn’t able to get another goal this time and he eventually left his position for Brazilian Gabriel Jesus to play the final 10 minutes of a very complicated match. The young striker was the player who decided the match in the end, he scored after Kevin de Bruyne recovered a ball on midfield and assisted him with a clinical pass between the lines. Jesus got the ball in the back of the net with a header, it came during a second attempt after his initial shot was deflected by the goalkeeper. After that final-minute goal from Jesus, Manchester City was able to get the top of the Premier League table again for the first time since December 15th, 2018. The Citizens have struggled during the current season against Liverpool but this early fixture grants them the chance of getting back to the top and apply pressure to the Reds for the upcoming match they have to play next weekend. 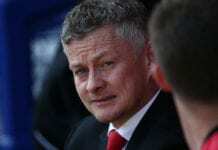 But things are not as chipper and easy as they appear for City, they still have the complicated task of winning next Sunday’s Premier League match against Chelsea at Etihad Stadium. Liverpool on the other hand, have a relatively easier match against Bournemouth on Saturday at Anfield Road. Guardiola is right about many things, he was perfect to say that this Premier League season will be very competitive because there are several squads that won’t stop fighting until the very end of the season. The Citizens don’t only have to worry about Liverpool, they also have to look out for what Chelsea, Tottenham Hotspur, Arsenal, and Manchester United do in the final part of the competition. Rock solid and a towering header! @laporte brought the 🔥 tonight! Can Manchester City win the second consecutive Premier League title or who will win by the end of the season? Please share your opinion in the comment section down below. Next articleManchester City is back on top!